How To Achieve Work-Life Balance And Find Happiness - Motivate Amaze Be GREAT: The Motivation and Inspiration for Self-Improvement you need! 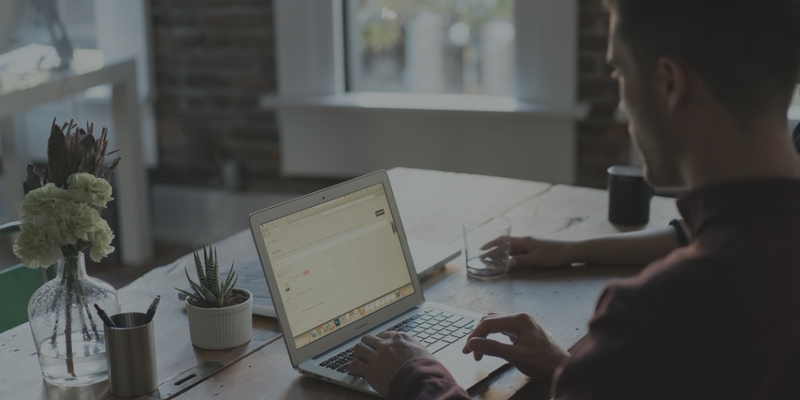 One of the necessary components of happiness is obviously work-life balance. Now I understand it. I passed a long way to realize that success, personal growth, and money aren’t those things that definitely give harmony and bring a happy life. Good moments - yes. Satisfaction from well-done job - yes. But not happiness. Moreover, career success often requires great efforts and a lot of time, so it results in neglecting such important things as family, friends, rest, hobbies, and health. My story might be even worse than that: I started my career when I was a student. Combining study and job was a real challenge, of course, but I liked it. I enjoyed the sense of being a supergirl who managed to do everything, not forgetting to spend time with close people and practice sport. Maybe, I just love to be fully occupied, but to be occupied all the time and sleep for only 6 hours a day never has good consequences. After graduating from the university I continued to work and due to hard work I was promoted 2 times for several years. However, sometimes I felt very tired. I always strongly worried about the projects I was the head of, and this resulted in frequent stresses. A serious symptom of disbalance! I remember, sometimes even work victories such as successfully finished projects and closed deals didn’t give satisfaction to me. And this was awful. I started realizing that I needed to change something and once I came across a wheel of life exercise (more info about it bellow). By doing the exercise my disbalance was clear to me! After thinking my problem out I decided to change the situation and first of all to have a rest. Not everything was so smooth as I wanted it to be: I had to finish one important project, but after it was done, I managed to have vacation. Understanding that job and success aren’t everything I need to be happy, I defined the things that really matter to me and to which I wanted to pay more attention to. The list wasn’t long: family, friends, sport, rest, career. So, I made a plan for a month and followed it. The plan included going to SPA, travelling to Hungary, hanging out with friends at least 2 times a week, going to gym, and visiting family on Sundays. And sleep for 8 hours a day. Having this in mind I managed to achieve work-life balance in 2 months. The first step was very important - vacation during which I relaxed and had a good and necessary rest. There are some other things, let it be stages I followed to reach my goal, I will describe them in detail in this article. I’d like to share my experience and help people who have disbalance to find harmony between work and ordinary life. Headaches, foreboding, insomnia - these are the very showings of the fact that something is wrong with your life. Have a rest, relax, keep a healthy diet (say no to fast food, say yes to fruit and vegetables), start practicing sport: exercises at home, tennis, going to gym. It won’t take long to see the result - your satisfaction with your life will raise and stresses will disappear. Remember the things that usually please you? From shopping and sporting wins to celebrations, career progression, and even good weather? If nothing satisfies and cheers you up - more than likely that the reason is lack of work-life balance. You perform tasks more slowly, some objectives seem to be much more complicated to reach than it actually is. Becoming less active and productive is one of the main signals that you have disbalance in your life. So, have a rest, pay attention to favorite occupations, spend time with close people, learn to mediate, travel to places you always dream to visit. Desires to go ahead, “conquer a peak”, and achieve aims have been lost. You have a constant aching void and the feeling of being fed up with difficult work. If there are some matches, something goes wrong. All people are unique and have different values, cultures, hobbies, goals. Distinguish things that really matter - exactly for you. Which of them make up your life now and to which you want to pay special attention to? Career, friends, family, personal growth, health, rest, relationships - it can be everything depending on your personality. Psychologists usually distinguish from 6 to 10 main spheres of life, from personal growth to career. There are a plenty of ways that simplify reaching the goal, one of them is to just take a pen and write down everything you need to do to become more balanced. It’s challenging and requires motivation, but if you really want to achieve the aim - you will achieve it. To get a more organized and a clear picture of your time spending on the areas of your life you can make the Wheel of Life exercise (as I did some time ago, more info in bio, including and app) that consists in a diagram with wheels that represent your life areas and the time you spend on them. After a problem is defined, set the results you want to achieve. So, you have things that form your life, a picture of your current balance (more precisely, disbalance), and now define how much attention you need to pay to each sphere to make your life balanced. Divide your aim into small steps. For example, you fully devoted yourself to job and career but you don’t spend enough time with your family and friends. Also you completely forgot about sport, hobbies…you once had. There are more and more stresses in your life, a feeling of being tired became constant. Some things that really matter to you and the ones you most need to be happy and satisfied, are practically neglected. You probably need to have some rest and realize that the situation should be changed. 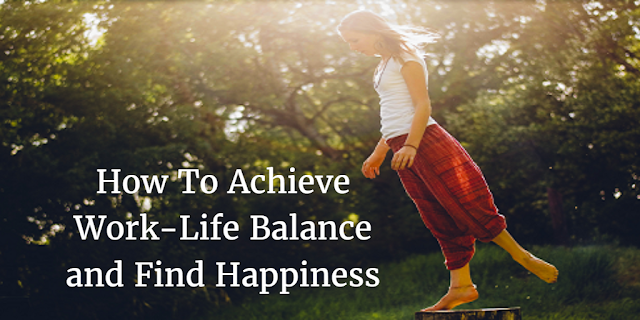 Achieve Work-Life Balance and Happiness. Hope you enjoyed this tips and you can make great use of them in your life. Diana Maltseva is a healthy lifestyle keeper, psychology and personal development lover. Finished a course of psychology in Belarus, managed to balance my hectic life and achieve career success (in interpreting, translation).